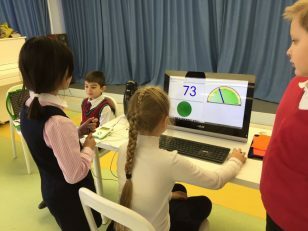 Data logging in an excellent example of how to integrate computing and technology into the primary curriculum. Using this equipment helps to bring science alive and develops children’s confidence with using technology that is different from what they usual encounter in class. Data logging equipment today is simple to use and reasonably priced. 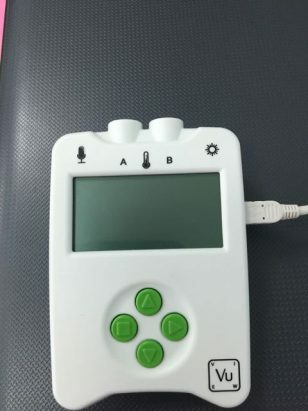 Data Harvest, who produce a variety of digital equipment for schools make the Vu Data Logger which is suitable for primary classrooms. They also make a variety of sensors and accessories that will help teachers to develop children’s investigation skills. I myself have purchased and used the heart rate sensor in class. Heart rate sensor in action. If you are interested in their products then you can check their web page below. The other bonus of this equipment is it is similar to that made for secondary schools so when children move up they will not feel intimidated by more developed software and equipment. So what are the educational benefits of data logging? Well over the years I have noticed that children take their science work more seriously. They also become more aware of the need to take accurate measurements when working on investigations. Another added surprise was their understanding of line graphs improved quickly when they saw the resulting graph happening in real time (They were investigating the temperature of boiling water). Develop children’s higher order thinking skills. Encourage their science argumentation skills. children work like real scientists. Develop other skills such as numeracy and literacy. Works very well with EAL students. Links the computing and science curriculum. You can download the whole magazine and previous issues here There are many interesting articles on incorporating technology into the curriculum which you will find useful.